If your seven-year-old’s mastered algebra but can’t pass a math test at school, chances are, you’re parenting a Twice-Exceptional. Here are four ways to tell if you’re kiddo’s a 2E, and what to do once you figure it out. I knew the drill. After all, I was a teacher. Bright kid; big problem in the classroom. Parent-teacher conference with the principal (counselor/school psychologist/resource teacher/academic dean). Incident reports laid out on the table. Angry pencil marks on crumpled wide-ruled sheets. Bullet agenda and forms to fill out in triplicate. I drew a daisy on the corner of my notebook and waited. I knew what they were going to say. I knew the drill. It didn’t make it any easier. She was hiding under tables, hitting kids, and melting down with regularity. What had happened to my girl? 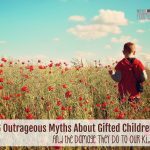 My eldest daughter is a Twice-Exceptional – a gifted child with a disability. She’s one of 0.5% of children who retain this designation. We had no clue until kindergarten hell broke loose. Actually, let me rephrase that – we knew she was different, for sure. First word at nine months, full sentences six months later. Fully representative artwork at two years. At three she was explaining the concept of infinite numbers to the neighbors; at four she started reading on her own. 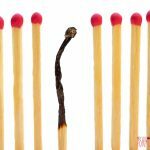 So yes – we knew she was different – but not in the way it would matter at school. What mattered at school was conformity. As a gifted child with sensory processing disorder, fitting in was impossible. Her brain couldn’t process all the stimuli coming at her. She had to exceed serious effort every school day just to keep from falling apart. 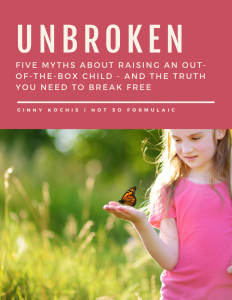 Our daughter’s Twice-Exceptionality had a major impact on her experience in the educational world. On its own, giftedness is a special need. It impacts a variety of developmental factors, from intellectual curiosity to social and emotional skills. What’s more, the neurodivergence present in a gifted brain’s wiring opens a door to psychological and mood disorders at a higher rate than the rest of the population. A Twice-Exceptional diagnosis compounds this. It can wreak havoc if unnoticed or ignored. Why would that happen? Well, 2E kids are complex. Intellectual and quirky, they’re a moving target you can’t pin down. Some become proficient at passing, at appearing like someone they are not. Others fall prey to a host of difficulties, suffering in silence and educationally written off. Twice-Exceptional children are at high risk for underachievement. Their executive functioning skills are low. Many 2E children do not turn in homework or complete assignments. They may also have trouble filtering out noise in a classroom. Test scores and ability may appear low. 2E children are perceptive. Keenly aware of their differences but perhaps not sure why those difference exist, Twice-Exceptionals often feel like outsiders. They may work diligently toward masking their disability and find it difficult to fit in. While intellectual boredom and its consequences are commonplace in gifted children, behavioral issues become more prominent in a Twice-Exceptional child. Poor impulse control, angry outbursts, and sensory meltdowns can be perceived as disruption instead of communication, especially when the same child presents advanced intellectual skills. Clearly, identifying a child’s Twice-Exceptionality is paramount to her well-being all around. But uncovering the layers of complexity is like solving a jigsaw puzzle without a completed picture. It’s hard to see it if you don’t know what you’re looking for. For many families, the first step toward a Twice-Exceptional diagnosis comes when their child enters school. Suddenly, the kiddo who could run intellectual circles around the next door neighbor can’t seem to put together two and two. Twice-Exceptionality can manifest in a variety of ways in the classroom, but for general purposes, it’s probably easiest to phrase it in terms of “should.” She should be able to solve these math problems, read this book, follow directions, or sit still. You may find yourself asking how she’s composing sonatas in the living room, but can’t read the sheet music for the teacher at school? 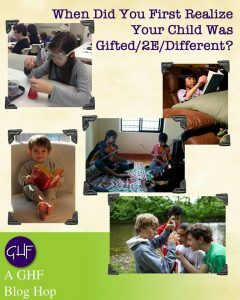 All gifted children exhibit some range of asynchronous development. 2E kids present symptoms off the chart. Our daughter, for example, was reading middle-grade books in kindergarten, but her teacher was concerned she couldn’t color inside the lines. Our kiddo could outpace her classmates in focus and concentration, but transitions between activities were an absolute nightmare. Intellectually advanced but emotionally delayed, her asynchronous development was tearing her apart. Where gifted kids are more, 2Es are often more than. Underlying conditions might amplify the need for sensory stimulation or avoidance; an awareness of differences might result in greater emotional distress. 2E children can have a hard time making friends. While this is common with gifted children, too, the social gauntlet is far more challenging for a child with additional special needs. Missed social cues, the desire for proprioceptive input, poor impulse control, coping mechanisms, and the like can make 2E kids persona non grata. It’s hard to experience and pretty terrible to watch. So what do you do once you’ve got it nailed down? 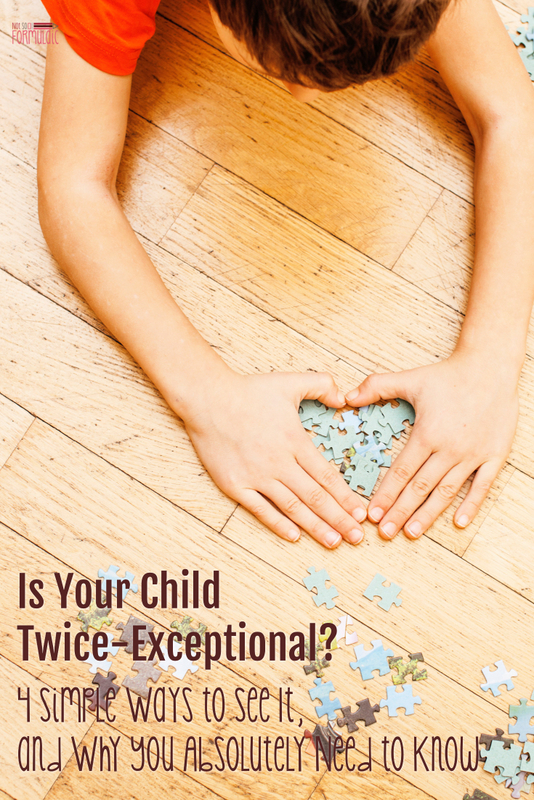 If you have a gut feeling your child is Twice-Exceptional, evaluation is the best way to find out. Tests like the WISC-IV, the Woodcock-Johnson, the KTEA, and the Standford Binet help identify what might be going on. You can seek evaluation through your school district (whether you are a homeschooler or not) or private practice; keep in mind that evaluation through the school system is most often free or very low cost. Know that you will need emotional support just as much as your child will. There can be a definite period of grieving for parents, intensified by the pain a child may experience with friends or at school. Make sure you have a support system in place for your own emotional experiences. You can’t give your child what you yourself don’t have. 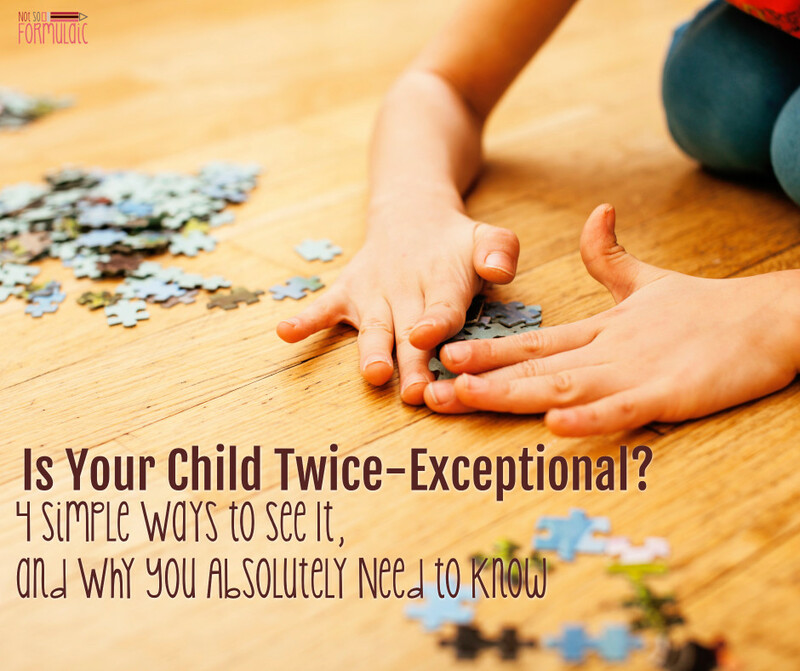 Make sure you know your rights as the parent of a Twice-Exceptional child. Your child is entitled to services under IDEA; you can request an IEP or 504. You are also within your rights to receive services through the school district. I may have been a teacher, and I may have known the drill. But I didn’t know the extraordinary journey we would begin that morning in the conference room – a journey that has brought us closer as a family and propelled our daughter to untold heights. The kid who they said would never participate in a classroom? Who would never be able to function in a group? Last Friday she led an hour and a half acting class at our homeschool group co-op BY HERSELF. That’s pretty darn exceptional, if I may so myself. 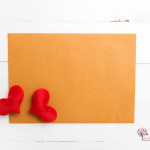 This post is part of the GHF blog hop for March: When Did You Know? hi. 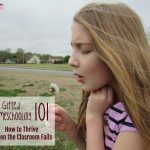 I believe my daughter i s twice exceptional. She is also diagnosed on the Spectrum. Highly verbal, High functioning. We are having many battles with the district and now are in a legal battle with district. We are trying to find a twice exceptional school in NJ. You’re welcome. I’m so sorry you are struggling. You might look into resources at Hoagie’s Gifted, SENG, or Davidson Gifted. They may have documentation you can take with you to meetings, etc. This article should open doors for parents who have suffered from dismay and heartache about their dear 2E children. Not many people understand what is going on and simply judge these precious children to be spoiled or badly behaved. Thank you for your insights. Hi Ginny, thank you so much for your article. It helped me to appreciate that my gut feeling was right. The school system is not prepared to nurture kids with high learning potential. Our daughter started school 6 months ago and her teachers are more concerned with her social and emotional inadequacy rather that with her intellectual neds/potential. 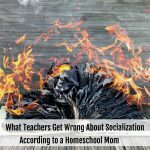 We were told on several occasions that the school doesn’t have resources to deal with our daughter’s meltdowns (apparently it can take up to 45 min for our daughter to settle down) or her challenging behaviour. The lack of understanding of the asynchronous development that we observe is really frustrating. I’m so sorry you’re experiencing that. It’s very similar to what we went through, which was, quite frankly, hell. I hope that it gets easier for all of you. Please don’t hesitate to reach out if I can help. Our daughter, now 13, was diagnosed SPD, with dysgraphia & possible dyscalculia at age 6. She was talking & reading very early. At 3, she amazed people with her knowledge of history & science, but hated coloring & drawing. She started flapping. At play groups, she mostly kept to herself. At restaurants, she had meltdowns. At church, she covered her ears when there was singing. We tried preschool for a few months, until one day I was called because she was curled up in the fetal position & was making noises, but would not respond to teachers questions. It happened on the playground. They thought she was sick. She was definitely sensory overloaded. We have homeschooled from the beginning. Currently, she goes to a homeschool One Day Academy. We pick & choose classes which she attends on one day a week. She does the rest of the work at home. Perfect scores, for her, are a must. However, organization, planning & time management are very difficult for her. She insisted for years that she wanted to play violin. I pushed for piano. I gave in last year. After 3 weeks of one day a week lessons, she performed in her first concert. She played like she had been taking lessons for a long time! She can hold an intellectual conversation with adults in a very mature manner, but still has to have a stuffed friend with her at all times and still plays with her dolls. Until last year, the friend was in her arms. Now in public, it is in her purse. People comment on her empathy & kindness she shows to everyone. We still deal with meltdowns, especially when plans change. She does not kick & scream, but gives dirty looks, crosses arms tight & might refuse to move or if at home, runs to room, slams the door & cries. She had therapy for six weeks (all insurance would do) when she was first diagnosed. How do I get help for her now? We are in a new phase, in uncharted territory, where I definitely see, she can be mentally fragile. Around about age 5, she started asking me why she was different. She is gifted in many areas, but struggles heavily in others. Thanks. Hi, Karen. My heart goes out to you. I’m feeling similarly – my girl is 12 now and it is definitely new territory, as you say. Rigidity can be so hard. My best advice is to give her as much of a heads-up as possible; for the times when you can’t, try role-playing and social stories to help her learn what to do. I do think part of it is also age; the tween/early teen years are just tough across the board. I often have a hard time telling if we’re dealing with hormones, sensory issues, or both! Lastly, if you can find a social skills group for her to take part in, that might help. They tend to be more affordable than therapy and she could work on some of the same skills. Hang in there, lady. Please feel free to reach out any time. I’ve just recently heard of 2E children and suspect my son might also have this. He is very bright and struggles in school over the silliest things, but do you need to have a 130+ IQ to be considered 2E? He is in 7th grade now and gets high 80’s to 90’s on tests but can’t finish classwork or hand in any homework. They feel he’s lazy. He has been tested in school a couple of years ago and has been diagnosed with ADD. Would the school be able to test for 2E or should I be looking for a specialist? Hi Teresa. The textbook answer is that for a child to classify as 2E, yes, an IQ of 130+ is required. The more nuanced answer is that even 130+ isn’t the standard definition of giftedness, so he could very well be 2E regardless. My recommendation to you is to seek an updated evaluation that would include a test like the Woodcock-Johnson or the KTEA in addition to an updated evaluation of his ADHD. The school system should be able to do that for you, but you would need to submit a referral form and go before the screening committee. A specialist or private practice could do the same, but it would cost much more.